DIABETES TREATMENTS AND HOW IT IS DIAGNOSED? Diabetes treatments- In our daily life, we hear some common medical conditions like arthritis, migraine, ligament tear and so on. One of the diseases which have gripped a very large section of people is diabetes. Glucose is the main source of energy in our body which is broken down by an enzyme called insulin and thus, liberates energy. The energy derived is used for growth and development as well as for performing all the other biochemical pathways. But when the blood glucose level rises too high and is not utilized by the insulin then it leads to diabetes mellitus. Diabetes can be due to insufficient production of enzyme insulin because it will not break down the glucose into energy derivative, another reason could be that the insulin is synthesized appropriately but is not taken up in the process by the cells of the system. The symptoms of diabetes are excessive urination, increasingly thirsty and hungry at short intervals, inadequate weight loss or too much of weight loss, tiredness, and fatigue, skin rashes, cuts and bruises take time to heal, high blood pressure, numbness in feet and hands, etc. Along with diabetes, there is a risk of developing nerve problems, heart problems, strokes, dental flaws, etc. Type 1: In this case, the insulin production is insufficient or is totally blocked because the pancreatic cells that produce insulin are destroyed by the immune system. Type 2: Diabetes of this type mainly occurs when the pancreas produces insulin but it is not taken up or absorbed by the cells of the body. Diagnosis of diabetes is generally done by a glucose test in two varied conditions namely, fasting and non-fasting sugar testing. Initially, a person usually fasts for 6-8 hrs and the blood sample is obtained later, in the non-fasting condition the person consumes food and after 2-3 hrs the blood sample is again collected. Both the samples collected are then sent to the lab to observe the blood sugar level. The fasting glucose level should be approx 100 mg/dl whereas; a diabetic person will have a higher value. Similarly, non-fasting test value should be less than 140 mg/dl but in the diabetic condition, it ranges around 200mg/dl or above. Treatments for diabetes type 1 and type 2 includes medications which lower the elevated glucose level in the blood, along with which insulin injections are given to increase the absorption of the sugar glucose. In severe condition then surgery is advised in which the pancreatic transplantation is done. 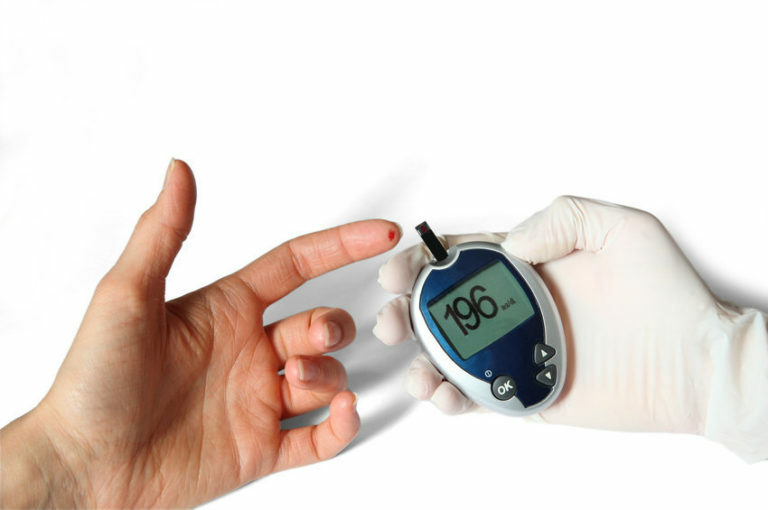 In type 1 diabetes treatment regular insulin monitoring is done and then, an adequate amount of insulin is given via injection or by an insulin pump. In addition, the patient’s fat and carbohydrate intake is managed and often is advice to do physical exercises. In type 2 diabetes treatment various medications which help in thinning of blood, certain pills or tablets are prescribed so that the cells can increase their uptake of insulin and thereby, metabolizing glucose as the energy source. Stem cells are undifferentiated cells of the body which can differentiate themselves into the different type of cells (pancreatic cells, brain cells, muscle cells, red blood cells or heart cells). Stem cell therapy provides the healing and regenerative power to the injured or damaged part of the body, thus these days stem cell therapy is widely used for treating a number of diseases. The differentiation of stem cells into insulin-producing pancreatic beta cells is an important aspect which helps in maintaining the normal blood sugar levels. These cells help in creating a microenvironment due to their strong effects and differentiate into lost or damaged beta cells and thus, initiate secretion of new immune cells and reduce further deterioration of pancreatic beta cells. Stem cells found in bone marrow or adipose tissues are the most potent sources available. Stem cell therapy for Diabetes involves withdrawing the stem cells from the patient’s bone marrow (hip bone) and/or adipose tissue (belly fat) with the application of local anesthesia. The entire process takes about 7-8 hours. The extracted stem cells are then purified and enriched with certain growth factors and proteins in the labs under aseptic conditions and are re-injected precisely with the help of injections. After this, natural regeneration ability of these cells can be exploited to rebuild the lost cellular system and they help the cells to absorb the glucose efficiently. Diabetes treatment by stem cells and stem cell therapy is much convenient as it helps the patient to escape from the surgical complications, treatment procedure is less time consuming, prolonged medications are not prescribed which prove to be harmful in longer runs and no foreign cell rejection complexities are involved. Diabetes treatment naturally is done by some home remedies to tackle the diabetes example, drinking bitter gourd juice along with aloevera and neem, eating raw garlic has antioxidant property and regulates the blood sugar levels, having seeds of fenugreek also lowers down the sugar levels, jamun, i.e., a fruit helps in controlling excessive urination and also controls the increased levels of sugar in the body, moreover, certain foods should be included in the diet which have high fibre content so that they elevate the cells capacity to absorb glucose, using raw and natural sweeteners could be effective in balancing the sugar levels, do not include wheat, rice or any carbohydrate source in the food as they prove to be harmful, abstain from smoking and drinking alcohol.